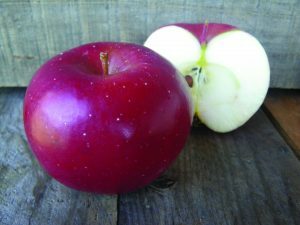 This classic big, red apple comes just in time to think about pies for the holidays. It has crisp white flesh, a thick red skin, and the perfect tart-sweet flavor. Pro tip: Because Romes hold their shape when baked, they make a great pie partner with Northern Spy.